Milk chocolate Ingredients: cocoa mass, cocoa butter, milk powder, vanilla, soy lecithin, sugar. Cocoa soilds 34%. 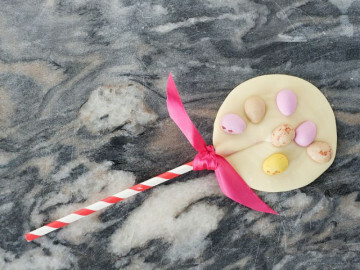 White chocolate Ingredients: cocoa mass, cocoa butter, milk powder, vanilla, soy lecithin, sugar. Cocoa soilds 28%. Dark chocolate Ingredients: cocoa butter, cocoa mass, soy lecithin. Cocoa soilds 56%. White & milk chocolate (cocoa mass, cocoa butter, milk powder, vanilla, soy lecithin, sugar), dark chocolate (cocoa butter, cocoa mass, soy lecithin), butter (milk), cream (milk), orange, vanilla, glucose, raspberry, strawberry, coffee, mint. 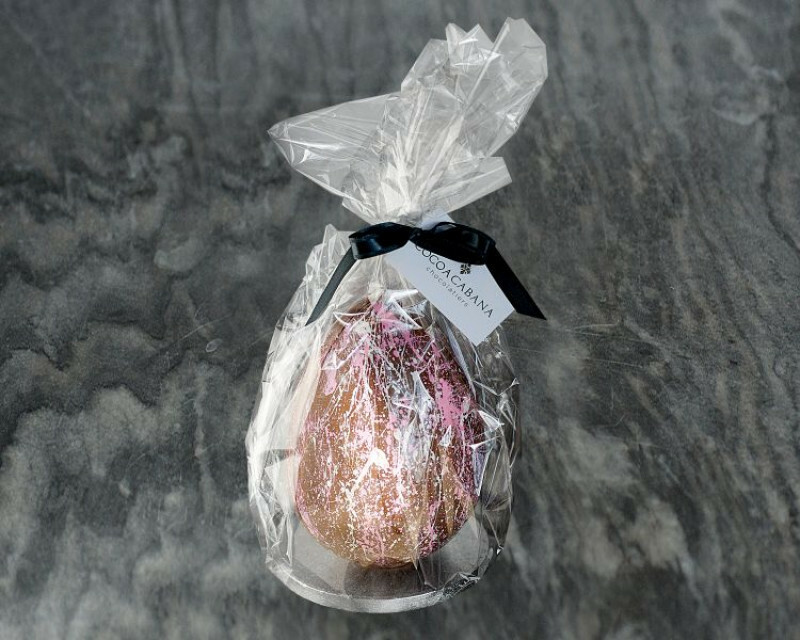 The ultimate Easter treat! 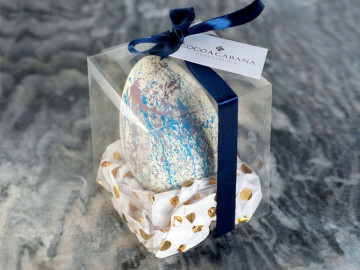 A beautifully handcrafted chocolate egg, with 6 truffles - carefully made by the award-winning Didsbury chocolatier Cocoa Cabana.